The Square in a Square Quilt made by Amy Ellis using Adventures fabric, The Tutorial designed by Jenny of Missouri Quilt Co, it's available for free. 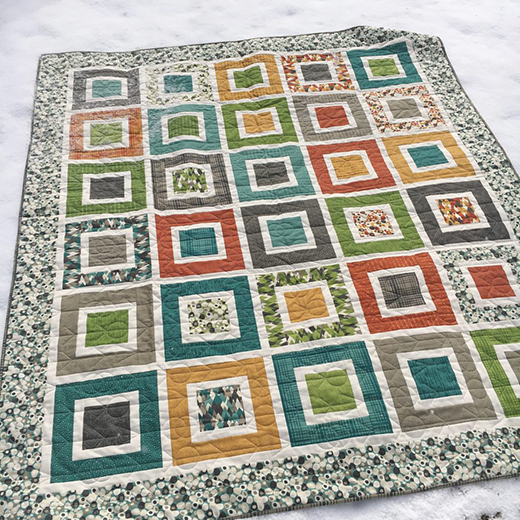 "The Square in a Square tutorial is a fun and simple project, that I think most quilters would enjoy! I cut all of my pieces from the precuts to the size that I needed, then enjoyed the chain piecing marathon."